Firstly, what is Mead ? 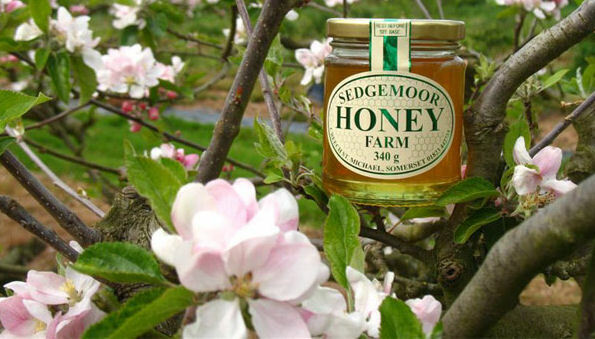 Mead or honey wine as its also known, is made by fermenting honey with water. Like beer, mead is sometimes flavored with fruits, spices, grains or hops. But it's generally higher in alcohol than beer and more in line with grape wine, typically between eight and 20 percent ABV. And, just like wine, mead is produced in a variety of sweetness levels, from bone dry to lusciously sweet and can be still or sparkling. When Mead is mixed with beer or brewed with hops and malt, it becomes a hybrid style closer in taste to beer known as braggot. Mead with added fruit is known as melomel, while hydromel is a watered-down version consumed in Spain and France. Great Mead is mead that's meant to age. Honey wine occupies a somewhat precarious position between beer and wine. Legally, mead is produced in "wineries" and bottles are usually sold in wine shops. But, thanks to the presence of hops, which some brewers choose to add as a natural preservative, mead is often clumped into the craft beer category. But, the reality is that mead is in a category of its own much like cider or sake. A ubiquitous alcoholic beverage, popular throughout history with the ancient Greek, Egyptians, African, Roman and Chinese cultures, Mead was produced as far back as 3000 BCE. Chinese pottery vessels dating from 7000 B.C. suggest evidence of mead fermentation that out-ages both wine and beer. The very first batch of mead was probably a chance discovery: Early foragers likely drank the contents of a rainwater-flooded beehive that had fermented naturally with the help of airborne yeast. Mead holds particular importance in Norse mythology, especially in the legend of a fabled beverage with magical powers known as "Poetic Mead." As the story goes, mythological gods created a man named Norseman Kvasir who was so wise he could answer any question. When he was eventually killed, his blood was mixed with honey, and whoever drank this honey-blood mead took on Kvasir's power of intelligence. And it's likely this myth that inspired Danish craft mead producer Dansk Mjod to make its Viking Blod Mead, which is flavoured and coloured red from hibiscus. 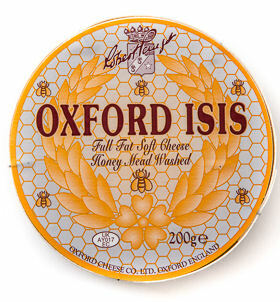 Oxford Isis is washed in Mead; click here to buy! Mead when combined with herbs and or spices were used medicinally in early England. Infusing herbs into a sweet mead made them more agreeable, and different varieties were thought to improve digestion, help with depression and alleviate good old-fashioned hypochondria. These types of spiced, herbal meads are called metheglin, derived from the Welsh word for medicine. A single honeybee produces a meagre twelfth of a teaspoon of honey per day. Because most meads require up to two gallons of the sweet stuff, every drop is precious. The honey used determines the flavor charactor of the mead, and can vary according to a honey bee’s particular diet of nectar and pollen. Traditional mead often uses a mild honey such as orange blossom, clover or acacia, but wildflower, blackberry and buckwheat honeys produce great results with sturdier, fuller spiced meads. Referenced throughout history, from Shakespeare to Chaucer’s Canterbury Tales, where its said that "In The Miller’s Tale, mead is described as the draught of townfolk and used to court a fair lady. Chaucer also makes mention of spiking his claret with honey" clearly he had a sweet tooth! Mead made its mark in other fictional worlds; in a epic poem called Beowulf, public mead halls are described in great detail. The boisterous mead hall called Heorot is attacked by the monster Grendel, which motivates Beowulf to battle. Even J.R.R. Tolkien got down with mead mania in Middle-earth. He too referenced a mead hall as Rohan’s great gathering place and house of the king. Richly decorated with a glorious straw roof that appeared to shine like gold from a distance, the mead hall was a space of great importance and power. Sweet mead is the original aphrodisiac. The origin of "honeymoon” dates back to the medieval tradition of drinking honey wine for a full moon cycle after a new marriage. All that golden goodness would supposedly ensure a fruitful union bearing plenty of children. This mead-based insurance policy was taken so seriously that a bride’s father included a month’s worth of mead in her dowry.